While the legendary No. 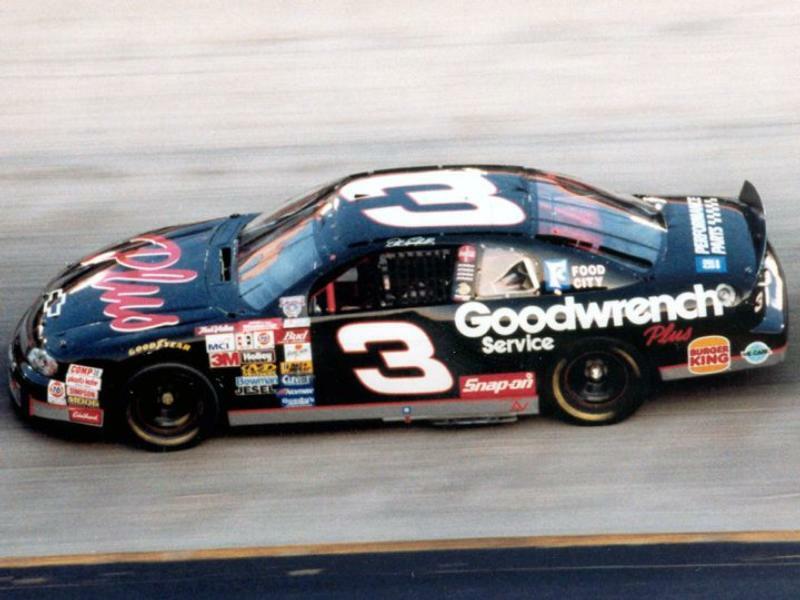 3 has long been associated with Dale Earnhardt Sr., the revered number holds a special place in Bristol Motor Speedway lore with eight wins, including two of the greatest finishes in NASCAR history. Last weekend Austin Dillon piloted the No. 3 DOW Chevrolet Camaro ZL 1 to victory at the Daytona 500 utilizing an Earnhardt-like move on the final lap. Dillon, grandson of Richard Childress, was a part of the Victory Lane party when Earnhardt celebrated with his lone Daytona 500 win in the black No. 3 Goodwrench Chevrolet 20 years earlier. Fans around the country and on social media were joyous at the iconic number returning to the top of the leaderboard at Daytona. Should Dillon be able to also take the checkered flag at the Food City 500 on Sunday, April 15, it would be a fitting continuation to the incredible legacy of the No. 3 for NASCAR fans throughout east Tennessee as well as around the globe. While the number will always be associated with Earnhardt, there have been nine different drivers who've piloted the No. 3 around the famed high banks of Bristol. In addition to Earnhardt and Dillion, others included legends such as David Pearson, Junior Johnson, Buddy Baker, Charlie Glotzbach, Bobby Isaac, Richard Childress and Ricky Rudd. Charlie Glotzbach was the fourth driver to pilot the No. 3 at BMS but the first to get the number into Victory Lane. Glotzbach's 1971 Chevrolet was the class of the field in a caution-field race with the Indiana native finishing three laps ahead of second place Bobby Allison at the Volunteer 500, the July precursor to the Bass Pro Shops NRA Night Race. The win was Glotzbach's fourth and final of his NASCAR Cup Series career and Chevrolet's first since the 1967 season. In addition, the result was the first victory for the iconic Monte Carlo, the winningest car model in NASCAR history. Dale Earnhardt Sr. single-handedly made the No. 3 one of the most successful car entry numbers at Bristol Motor Speedway, but his BMS success did not start with the same number. The Intimidator's first two Bristol starts in 1979 and 1980 came behind the wheel of the No. 2 Osterlund Motorsports machine, with the North Carolina native winning both. In 1984, Earnhardt began his iconic partnership with Richard Childress Racing and the legend of the 3 was born. One of the biggest storylines following the 2018 Daytona 500 was the one-two finish of Dillon and Bubba Wallace, who is now the full-time driver of the legendary No. 43 Chevrolet Camaro ZL 1 for Richard Petty Motorsports. Stats geeks in the sport were immediately curious about the last time the two iconic numbers finished P1 and P2 in an event. Yes, you guessed it: the answer involves The Last Great Colosseum. In the Spring race of 1987, Earnhardt piloted his No. 3 Wrangler Chevrolet to victory, his fifth victory in seven races to start the season. Finishing second was Richard Petty in the No. 43 STP Pontiac. The P2 finish was Petty's last top two finish at BMS. The Bristol lore of Earnhardt first reached a fever pitch during the 1995 Night Race. A colossal battle between the Intimidator and The Iceman, Terry Labonte, ended with a bang: Earnhardt sent Labonte spinning across the finish line. The two-time NASCAR Cup champ was able to hold on to P1. The winner's circle photo from the race is one of the most memorable in stock car racing history with Labonte's crumpled up No. 5 Kellogg's Chevrolet steaming with smoke. The 1995 finish seemed hard to beat, but the duo of Earnhardt and Labonte added a second act to their last lap tangles in the 1999 Night Race. A fantastic late-race drive by Labonte set up the showdown. The Texas native was able to get around the No. 3 before Earnhardt employed his patented bump and run move. The crash proved to be an instant classic in NASCAR history with Labonte spinning out and Earnhardt powering by to take the win. In Victory Lane, Earnhardt claimed his move on Labonte was simply an attempt to "rattle his cage," but it ended with NASCAR's most popular driver being booed louder than ever before. Following Earnhardt's passing in 2001, the No. 3 remained off the track in the Monster Energy NASCAR Cup Series until 2014. Dillon took over the reins of the No. 3 as a rookie. He raced to an 11th place finish in his first Bristol start. The eldest grandson of Childress has now competed in eight Cup races at BMS with a top finishing position of fourth. Following his Daytona 500 victory, Dillon hopes to ride that momentum straight to his first BMS Cup win at the Food City 500 on Sunday, April 15. Tickets for the Food City 500 weekend are still available. Two-day weekend packages start at just $89 for adults and $10 for kids (12-and-under). For more information, visit www.BristolTix.com or call 423-BRISTOL.